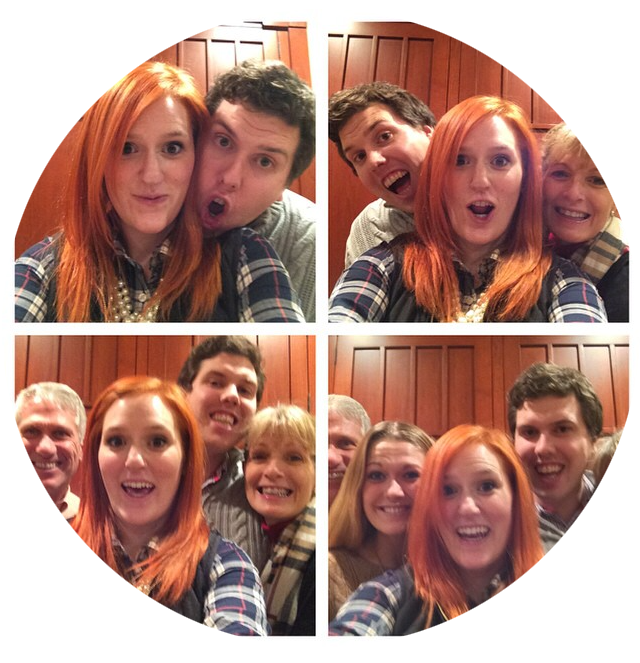 ...Took an abnormal number of Thanksgiving selfies with Jeff's family. Is that not what you did on Thanksgiving? We went to two Thanksgivings this year - an early one with Jeff's dad's family, and a later one with his mom and stepdad. Which means I got double turkey, double mashed potatoes, and, oddly enough, double brussels sprouts (definitely not complaining!). I also determined that I do like sweet potatoes, as long as they're mashed up and covered in sugar and pecans. ...Didn't hit any stores for what now seems to just be week-long sales, but did pick up a bunch of Christmas presents (ahem and one or two for me) online. ...Had a big group lunch with my extended family at Rock Bottom Brewery, where we've gone every year the day after Thanksgiving for the last ten years or so. If there's anything my family likes, it's a good tradition, like eating all of the hot wings and ordering another pitcher every time my grandma leaves the room. ...Tried to watch Let's Be Cops, and it was so bad we could not sit through the whole thing. Don't watch Let's Be Cops. ...Went to a big 95th birthday party for my great uncle, which was a great excuse for dressing up, gossiping with family I don't see very often, and eating all of the tiny meatloaf cupcakes.